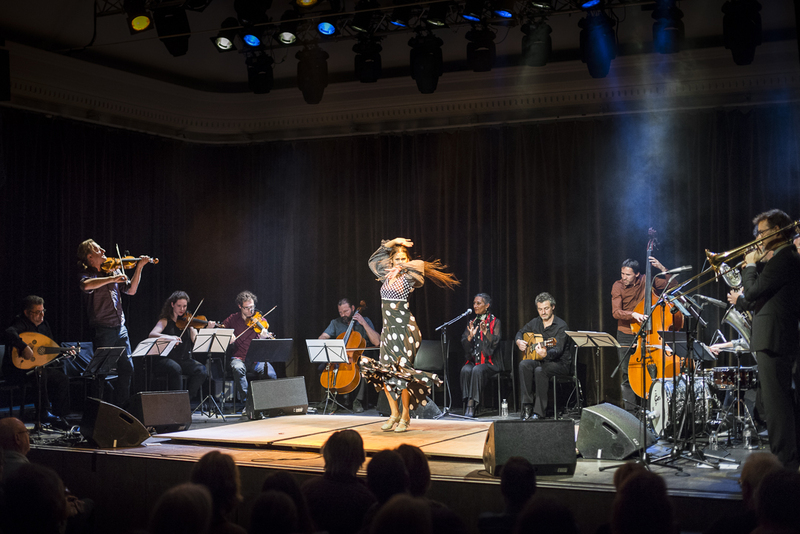 Olla Vogala is the multicultural Belgian folk-world fusion big band of violinist/composer/orchestrator Wouter Vandenabeele. She brings a fascinating and original imagining of music, word and sound. Olla Vogola demonstrates with every fibre of her being that interculturality and multiethnicity are not empty concepts. She marries old and new music seemingly without effort. She integrates original, daring arrangements of existing and improvised tone lines. Olla Vogala breathes various musical styles, does not worry about a stylistic departure more or less and is always looking for interpretations that provide innovative substance for the rich traditions from which she draws inspiration. Bizarre combinations and musical cross-pollinations create a repertoire that fuses European cultural heritage with influences from all over the globe.